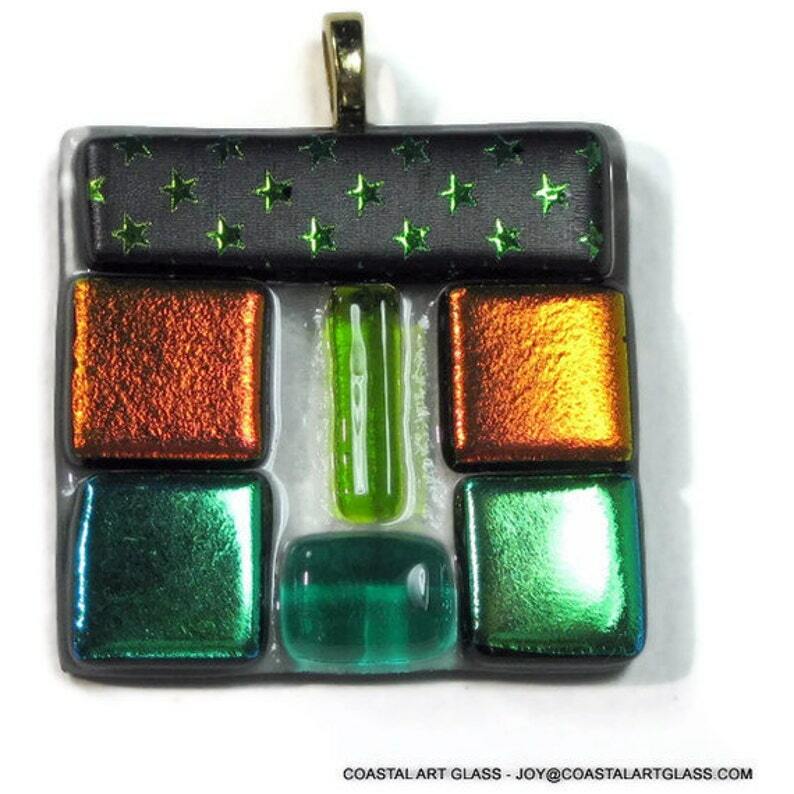 Contemporary art glass pendant necklace with fused dichroic green and orange squares. The top rectangular glass is flat black with green stars. I also added clear green glass to offset the shiny dichroic glass and balance the design. The many surfaces in this pendant adds additional interest to the piece. Clear glass of the pendant allows the color of your clothing or skin to show through and coordinate. The bail is a gold plated bail. This pendant measures 1 1/2 h x 1 1/2 "w not including the bail.